Bought this as a gift for someone and their baby loved it. Its soft and has been used a lot since they received it and it is going to become a security blanket as much as they use it. Love the quality. Enhance the look of your baby's nursery when you use this unique Chama baby blanket with a design influenced by Native American art. The blanket is woven from cotton yarn that is soft and comfortable against baby's skin. 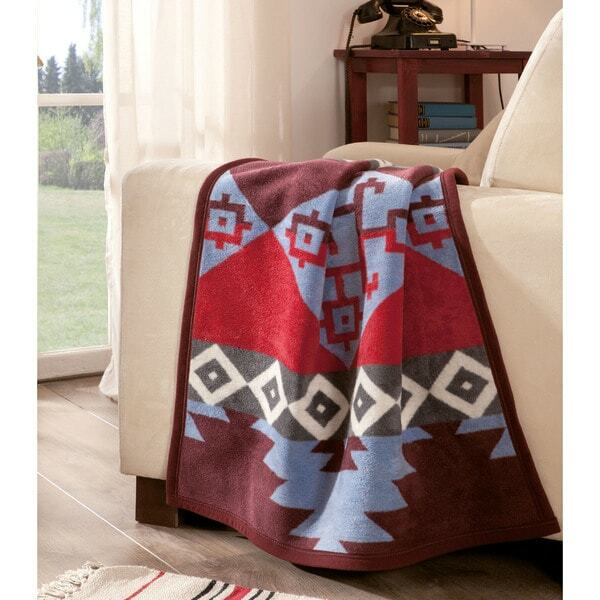 With it's bright colors and soft texture, this blanket is sure to be a favorite! Durable and machine washable. Dimensions 39.0 In. X 29.0 In. X 0.5 In. "No info about the size. "